The Bforartists 2 alpha 0.3.0 release continues with cleaup work after the big merge of 2.80 into Bforartists. 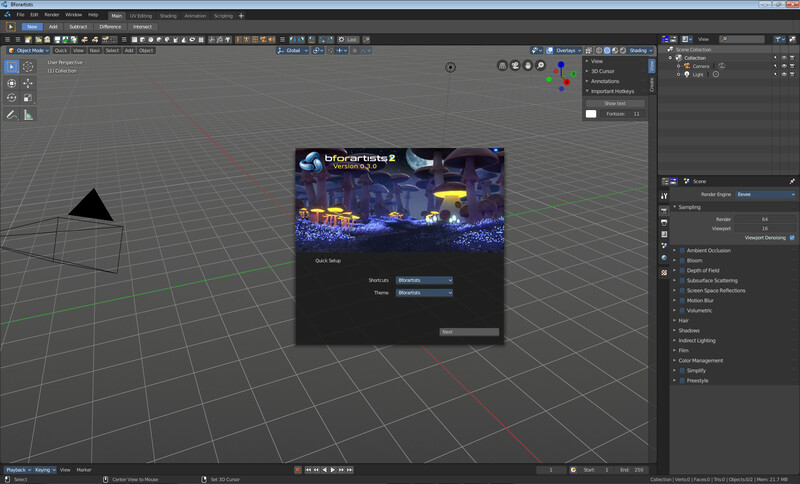 It comes also with first improvements in the original Blender 2.80 UI. Like lots of improved tooltips. A few things are at a different position now. We have started to remove double menu entries again, added menu entries for hotkey only functionality and added again quite a few missing and new icons. Bforartists is a fork of the popluar open source 3d software Blender.The primary goal of Bforartists is to deliver a better graphical UI and a better usability. Bforartists 2 Alpha 0.2.0 is based at the actual Blender 2.80 Beta version. And is of course free.